Will Jonathan Toews and the Blackhawks regain their 2010 Stanley Cup form? New Additions give ‘Hawks new Life. After a whirlwind off-season as Stanley Cup Champions, the Blackhawks found themselves without a lot of their role players. Dustin Byfuglien, Andrew Ladd, and Kris Versteeg just to name a few. 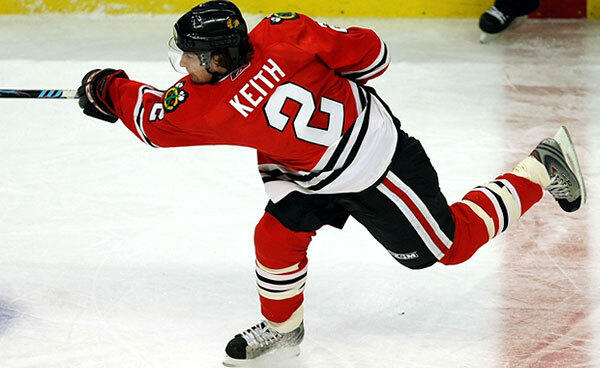 The result was far too much thrust upon the likes of Jonathan Toews, Patrick Kane, Duncan Keith and Brent Seabrook. Marty Turco faltered and the Hawks seemed incapable of holding a lead. Still, they made the post-season and gave the Vancouver Canucks the scare of a lifetime, being one goal away from a stunning 0-3 comeback. In at series, the Hawks were exposed for their lack of depth and lack of toughness. 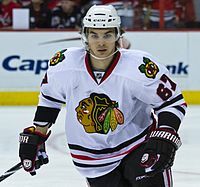 To address that concern, Chicago nabbed Dan Carcillo, Jamal Mayers, Andrew Brunette, and a glut of fresh defensemen to fill out and beef up their line up. The emergence of Corey Crawford was a pleasant surprise, and with any luck, the Hawks will battle Detroit for the Division title yet again and may be earn a top seed in the West. 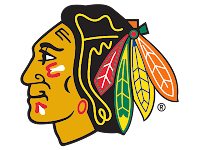 Patrick Kane may start slowly after returning from an injury, but the core of this team demonstrated how much they hate losing. Chicago will be better this year. Chicago addressed its lack of depth this off-season, and generated more toughness. More offense should be generated this year. 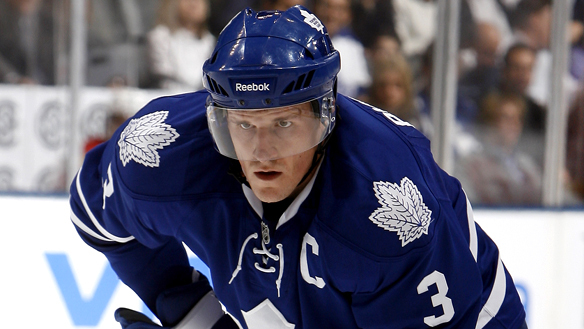 The team captain showed what a solid leader he was last year, especially in the playoffs. Toews career year has yet to come, and this one may be his best yet. Expect 35 goals and 80+ points, especially if he can play with Kane and Sharp full time. Kane is a slick playmaker with tremendous hands. He may begin the year slowly as he returns from injury, but when he’s in the line-up, he’s one of the most dangerous players in the league. Assuming a slow start, he should still get at least 70 points. Often showcasing 100 point talent, the dynamic winger is also a great two way player. Hossa’s best offensive days are probably behind him, but he’s a sure bet for 65-70 and maybe more. Sharp has really been a nice find for Chicago. Great on the PK and on the PP, Sharp plays an all-around game. He’s capable of 35 goals, including a lot of special teams markers. Sharp can easily get 65 points, especially with the talented linemates he’ll have beside him. If it weren’t for injuries, Dave Bolland might actually ‘break out’. Bolland shows the talent of a 2nd line center, and the tenacity and checking of some of the best two-way players in the league. His ability to shutdown the Sedin twins in the playoffs is a prime example. Bolland’s capable of 60 points if healthy, and he’s due for a healthy year. Frolik, much like long time teammates Rostislav Olesz has struggled a bit to live up to expectation. Frolik has been the better of the two however, and showed good things after the trade to Chicago. If he plays an entire year with Marian Hossa, 50 points are within reach. He’s got the talent, he just has to put it all together. The big winger surprised many with his strong play and 37 points last season. He’ll hope to become the next Dustin Byfuglien on the Hawks, balancing lines of skilled forwards with some additional size and grit. Bickell could easily hit 45 points this year with the right linemates. The speedy defender perhaps hit the wall towards the end of the season after an Olympic gold medal and Stanley Cup. Keith is a heart and soul guy and should rebound to Norris form this year. He may hit 60 points. ‘Seabs’ had an amazing year on the back end for Chicago. Amassing 48 points was just the beginning. Seabrook’s all around game ensured that he’s no longer viewed as Duncan Keith’s sidekick. 48 points may have been a high water mark for the BC native, but 40 points is very possible. The offensive defenseman had a great year last year in his first season. Maturity beyond his years will compliment his offensive instincts. 30 points should be the worst he’ll do..
Crawford took over the starting job from Marty Turco and never looked back. His effort in Game 7 against Vancouver was one of the best playoff goaltending performances in recent memory. Crawford showed he was the real deal and he’ll be out to build on that this year. Salak appears to be the back up heading into Training Camp. He should provide some solid support for Crawford, but the Hawks may bring in a vet if either goaltender struggles.. The absence of Brian Campbell may create a space on the power play for young Leddy. If the Hawks wish to use Seabrook in a more defensive role this year, Leddy may evolve and get some prime ice time. Leddy has solid offensive instincts and should get 30-35 points this year on the back end and average about 20 minutes a night. If you are in a keeper league, grab this guy, as he has vast potential and could be a top-4 defender as early as this year. Chicago may rely on Marcus Kruger in a key center role this season. A brief stint last year including the first round of the playoffs showed that Kruger can play in the NHL. If he’s given a chance on a scoring line, he may stay there. A talented Swede with the potential to be a second liner, Kruger will likely see some quality time this year if he acquits himself well or as an injury replacement. The former Florida Panther is looking to realize his vast potential in the Windy City. Frolik may receive that chance if he can stick alongside Marian Hossa on the team’s second line. Frolik is a good skater with a good shot and deceptive moves. Unlike most teams loaded with talent up front, the Hawks have a lot of options, as they mix and match their forwards quite a bit. While some fantasy hockey experts suggest 60 points for Frolik this year, 40-50 points may be a more reasonable guess. But, the potential is definitely there for more.